All of our Products Are Concentrates. When I say that our products are concentrates I’m saying that we don’t water them down. Our aqueous phase isn’t water, it’s DermaMin84™. DermaMin84™ is an ocean derived brine containing 84 natural elements and trace minerals all in ionic form. 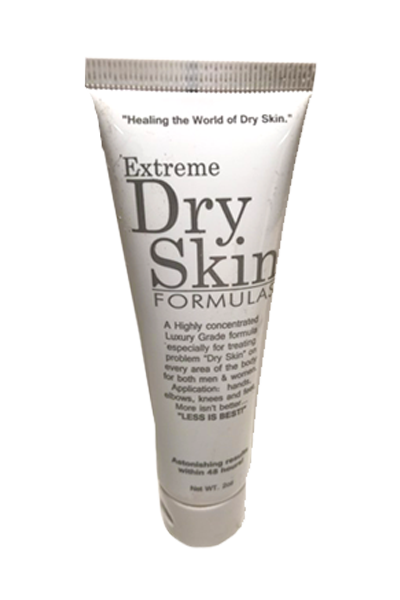 DermaMin84™ is proprietary to the DRY SKIN EXPERTS product line. It’s one of the key reasons our products work. Compared to other products for severe dry skin that contain from 70% to 90% water, our aqueous phase of DermaMin84™ is only 20%. All of our products have been designed for medical use and are used in hospitals, convalescent homes, pharmacies and doctors offices. We have a 30 year history of use and the product stability is simply unmatched. We take pride in how all of our products perform. Over the years I’ve had a number of requests for a more natural product. A product that works like our Medical Grade but doesn’t have petrolatum, mineral oil or lanolin. Very difficult to stabilize something natural because the risk of it becoming rancid over time or growing mold or bacteria. 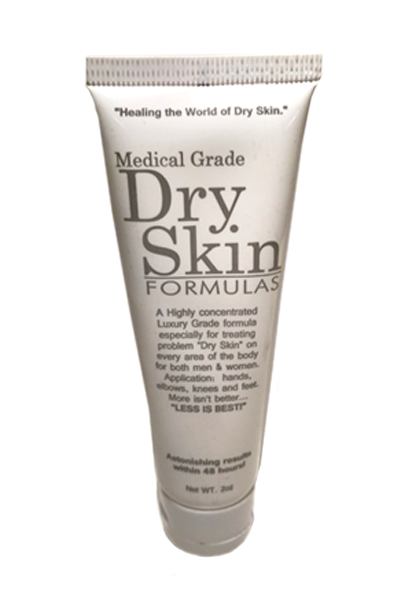 So what I found during my research was amazing and I was able to formulate a severe dry skin formula from almost all natural ingredients. And it does perform like the original medical grade product! I know that everyone wants more natural products, but so many of the ingredients actually cause allergic reactions. Things like : Tea Tree Oil, Propolis, Eucalyptus Oil, Jasminium officinale oil, Primin (from plants), oleander etc. Seem harmless but obviously tend to cause reactions we don’t expect. The almost natural concentrate we have developed utilizes unique forms of vegetable oils and coconut oil that most people are not sensitive to. We don’t use fluff. All and everything in our formulas are there for a specific purpose. We don’t add ingredients just to have more ingredients. Only the necessary ingredients are used by us. Also the ingredients we use are of medical grade, cosmetic grade or food quality. No shortcuts are taken in our laboratory. NONE!